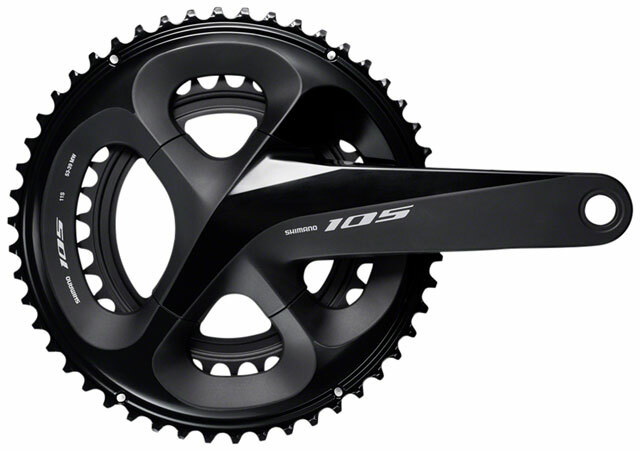 Shimano 105 FC-R7000 balances weight and efficiency without sacrificing stiffness. Wider gear pitch increases chain clearance with small gearings and allows for 410 mm chain stays on 135 mm O.L.D. 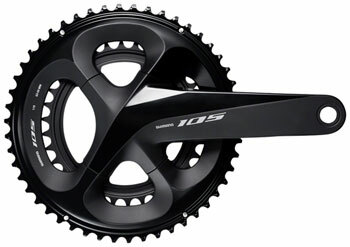 Available SoonSorry, 'Shimano 105 FC-R7000 50/34 165mm Hollowtech II Crankset, Bottom Bracket Not Included, Black' is currently out of stock. Please check back later or contact Bikeman for an expected availability date. Refer to our Shipping Terms for more information.